New players can join for free this spring! Spring registration–for both teams and individuals–is now open. There is room for a couple more teams in the Wednesdays league. Individuals (or pairs) can play on Wednesday for free. Check out the registration page above for more details. Free Dodgeball at Weds Forest Hill! Individuals (or pairs) can play a full season of dodgeball this Fall for FREE! Limited spots available. Contact Noah through the “Contact” page above. 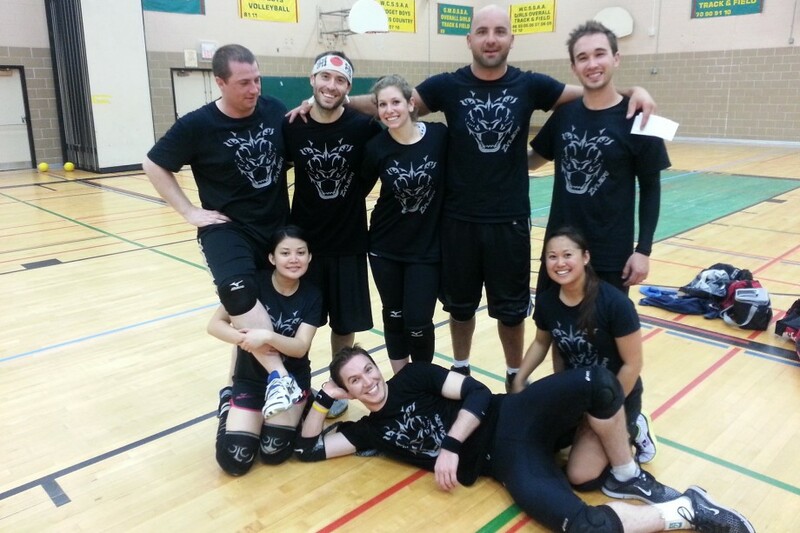 Free Dodgeball on April 23rd, 8:15pm – 10:15pm at Forest Hill P.S., Waterloo! Also: looking for female individual sign-ups for the Weds Spring league. You will play for free! Message me through the Contacts page if you’re interested. Spring Registration Closes on April 10th! For Spring 2015 registration, please click on the Registration tab above. We are expanding to Cambridge this Fall! Dodging Cancer 3 was a success! On April 13th we had our 3rd annual charity tournament! Teams and players came from Cambridge, Milton, Toronto, London, and even California! $720 was raised for the Canadian Cancer Society and Run for Life. Congrats to zvijeri for winning Dodging Cancer 2. It was another fun tournament! $565 was raised for Childhood Cancer Canada. Thanks for your support! $160 was raised for UNICEF at the Halloween Tournament (Dodging Poverty ’12)! YCMB, By the Balls, and Unbeataballs all won best costumes prizes.